Prayer changes things. Praying God's promises changes everything. The Scriptures tell us that when we pray the will of God, he delights to answer our prayers. But what is God's will in any given situation? How can we know it? And if we don't know it, how can we pray it? In this inspiring book, Linda Evans Shepherd reveals that God's will is not a mystery--it's clearly laid out in his Word through his many promises. Through stories, practical application, examples of prayers, and guided reflection, she leads you toward a more powerful prayer life. 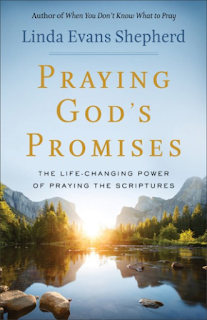 Arranged by topic for ease of use, this book shows how to pray God's promises of peace, for health, for relationships, for our children, and so much more. 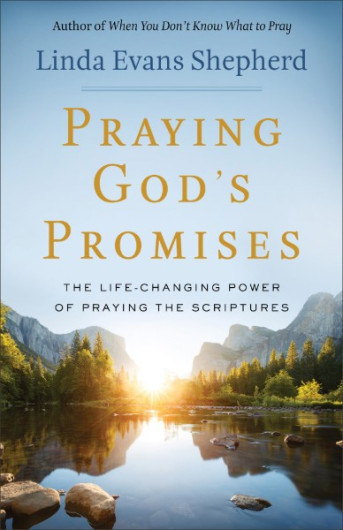 Shepherd also includes a chapter on God's powerful answers to prayer that will inspire you to search the Scriptures, pray God's will, and wait expectantly for his promised answers. Linda Evans Shepherd is an award-winning author who has written numerous books, including the bestselling When You Don’t Know What to Pray and her latest Praying God’s Promises. She is a # 1 best-selling author and her prayer books have sold over a quarter-of-a-million copies. Linda is an internationally recognized speaker and has spoken in Canada and throughout the United States. She’s shared the platform with notable speakers like Philip Yancy, Carol Kent and Stormy Omartian. 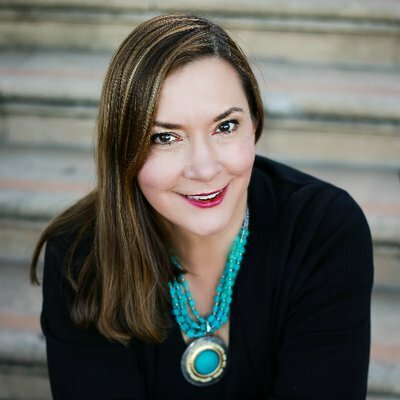 She is the president of Right to the Heart Ministries and the CEO of the Advanced Writers and Speakers Association (AWSA), which ministers to Christian women authors and speakers. She’s both the publisher of Leading Hearts Magazine, and Arise Daily, a daily e-devotional. Linda loves to hang out with friends and family and has been married to Paul for over thirty years. She is the mother of two wonderful kids, one in Austin, Texas and the other in heaven. Sometimes, it's so hard to know what to pray. I know I struggle at times with what words I want to say as difficult situations come up in my life and the lives of others. This book has 27 different topics to guide you in your prayer life. Linda shares a Scripture then under that, she will guide us into prayer using that Scripture. I really loved this as it impressed upon my heart and mind the promises God has for us in all things! She shares different stories and life circumstances that have been helped with prayer. I know I want my prayer life to be better, more God filled, and with more belief in the God's love and promises. This book has all that for me and really encouraged me to pray with faith for myself and others. This is a wonderful book on prayer, unlike any I've read before. It's a guidebook of how to pray but it's so much more. I absolutely love this book and highly recommend it. I give it 5 out of 5 stars.